Here´s reference sheets of my character Jake Lioner. Here´s my art what I have shown already in Furaffinity and also for some new pics what I will do of my fursona,Jake Lioner. First appearance of Jake was at Anthrocon 2011 and hopefully I´ll have lots of opportunities to wear him at cons and outside of cons. Hey there,thank you stopping by on my profile. So,welcome to Jake_Lioner83´s Inkbunny account. Here you´re able to see mostly pics of my fursona Jake. Mainly any general themed pic is always welcome to draw and when you get commission/gift art from me,you have instant permission to load it in your Inkbunny gallery. - I´m 25 year old guy from Finland,the land of heavy music,Lordi and thousand lakes. - I categorize myself as an Anthro Artist and Fursuiter,did my first fursuiting performance at Anthrocon 2011 with Jake Lioner suit made by my wonderful and talented man Hornet Silverbullet. - I´m engaged and taken by Hornet Silverbullet. 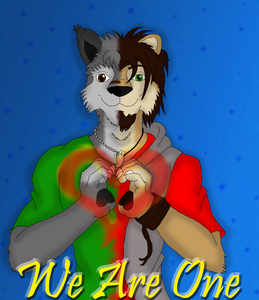 - I´ve been in furry fandom since 8/4/2009,when I made my first account in Fur Affinity. But if you backstab me or be fake in front of me,I´ll be really aware with you. Well anyways,please enjoy the gallery and if you have any feedback for the art,let me know. I have improved with art during the last almost 2 years,but I still have a lot of things to learn.